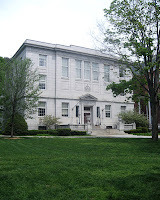 The Vermont Supreme Court's opinion last week in DeYoung v. Ruggerio reached a highly unusual result for a punitive damages case. The case involved a claim against an attorney who allegedly stole money from his clients and lied to them about it. A jury awarded compensatory damages but determined that the defendant did not act with malice and was therefore not subject to punitive damages. The Vermont Supreme Court reversed, ruling that the defendant's conduct amounted to malice as a matter of law. Accordingly, the court sent the case back for a retrial on the amount of punitive damages. The court based its decision on the fact that the defendant admitted stealing plaintiffs’ money and lying to them. The defendant argued nevertheless that the jury could reasonably have found no malice because (1) he did not intend to harm them, and (2) he always intended to return the money to them sooner rather than later. But the court concluded that even if the jury accepted this explanation entirely, the defendant's conduct still satisfied Vermont's definition of malice, which includes "deliberate and outrageous conduct aimed at securing financial gain or some other advantage at another’s expense, even if the motivation underlying the outrageous conduct is to benefit oneself rather than harm another." I don't recall ever reading any punitive damages opinion in which an appellate court concluded as a matter of law that a defendant acted with malice, and reversed a jury's determination to the contrary. But the Vermont Supreme Court's opinion cites two such cases: a 1989 decision from Alabama and a 1908 decision from Minnesota. (See Dependable Ins. Co. v. Kirkpatrick (Ala. 1987) 514 So. 2d 804, 806 and Anderson v. Int’l Harvester Co. of Am. (Minn. 1908) 116 N.W. 101, 102.) The fact that the Vermont Supreme Court had to rely on a 100-year-old case from another jurisdiction tells you that this doesn't happen every day. Despite ruling that the defendant's conduct amounted to malice as a matter of law, the court emphasized that, during the retrial, the jury would still be free to decide not to award punitive damages.